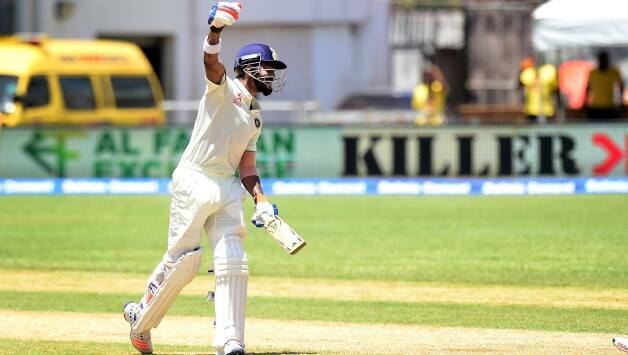 KL Rahul managed to get another test match half century on the first day of the Colombo test match, but, once again, he failed to stretch his knock to three figures. However this time around, he would not blame himself for his dismissal, but his batting partner Cheteshwar Pujara who got him into trouble with his poor running between the wickets technique. Rahul pushed the ball towards the cover-point region and called Pujara for a quick one and Pujara gave a positive response to his call initially, but after taking a couple of steps, he showed a bit of reluctance in going through for the run. However he still didn’t make a clear call of no. If he had sent Rahul back even at that stage, Rahul would probably have got back into his crease, but, Pujara stopped, looked towards the fielder and then again took half a step further which made Rahul think that he was still interested in the run. So Rahul also came further down the track, but, when he had reached almost half way through the pitch, the eventual call of no came from Pujara and it was too late by then. There was no way Rahul could have returned successfully from there. He tried, but fell short by quite a distance as the keeper collected the throw and whipped the bails off. It was completely Pujara’s fault. Yes one can understand the fact that he is not as quick as Rahul and he might not have been able to complete that run, but, if he was unsure, he should never have made the start and should have straightaway conveyed to Rahul that the run was not on there, but, he showed a lack of game awareness there.